Removing Wasps and Bees nests quickly and efficiently. Complete vermin control solutions for Rats and Mice. A full range of Treatment solutions for Bed Bugs. Beds & Bucks Pest Control offers comprehensive services to corporate and domestic customers for the elimination and/or control of all pest species. Pests can be a serious threat to your property and health, if not dealt-with on time. We are committed towards effective pest control in Milton Keynes and Newport Pagnell. Our specialised treatments guarantee to keep away the uninvited intruders from your property in the blink of an eye. Whether you’re looking for mouse or bed bugs control in Milton Keynes and neighbouring areas, you can simply call us. Beds & Bucks Pest Control is a wholly owned subsidiary of Axatax Pest Control. Our bug control and cleaning administrations for rat and pigeon waste are entrenched all through Buckinghamshire and Bedfordshire. Situated in Milton Keynes we have an extensive client base of both commercial and domestic clients for all types of pest and bug control. One of the main areas we serve is Milton Keynes, being the nearest big city to our local offices in Newport Pagnell, and with many of our pest control specialists living in and around Milton Keynes. If your commercial or domestic property is based in Milton Keynes and you are looking for a local exterminator, then look no further! As one of the leading pest control companies in Milton Keynes, you can be assured of a professional, discrete – and most importantly – quick service, so that the health of residents need not be put at risk. As we are based in Newport Pagnell, for local residents we are the go to pest control company in Newport Pagnell as well as surrounding areas such as Redhouse Park across the way, Blakelands, Little Linford, Lathbury, Sherington, Chickeley, Tyringham, Gayhurst, Moulsoe, Little and North Crawley and more. Our offices are located just off the M1 however so this means that we can easily access many of the bigger towns and cities, our closest being Milton Keynes. We have been offering pest control in these areas for a many number of years now, and an excellent reputation for each of the pest services we offer, listed above. For pest control in Milton Keynes, Newport Pagnell , we can provide a bespoke solution to safeguard your premise. Whether you need one sitting or a regular servicing contract to ensure adequate control throughout the year, we do it all. Contact us for the best packages and avail them at exclusive prices. For us, your safety comes first! The health hazards associated with colonies of rats or pigeons require specialist knowledge and cleaning methods including the removal of hazardous waste and proper cleaning and disinfection. 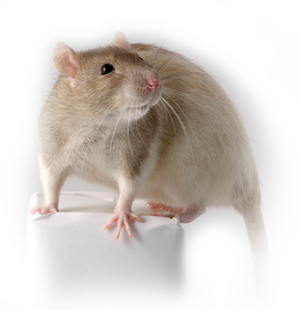 For pest control in Newport Pagnell, we pursue by getting rid of the vermin and then cleaning the contaminated areas, before applying proofing measures to prevent re-infestation and establish ongoing pest control measures, if necessary. We provide mouse control in Newport Pagnell, Milton Keynes and beyond. Our reputation for environmentally safe bug treatment has grown rapidly in the last few years, and our quick response mechanism helps us in keeping up. Call the number below for further information or to arrange an appointment.